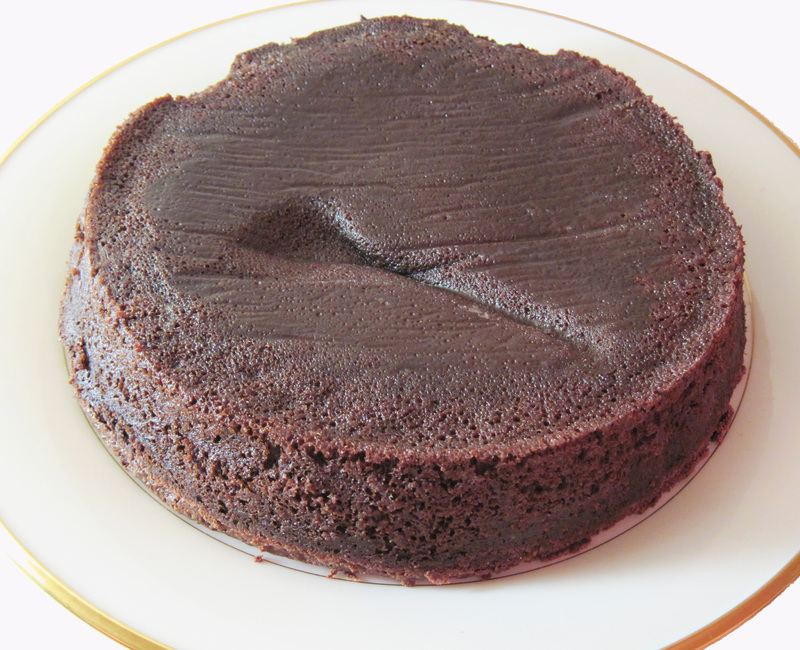 I made an Easy Flourless Chocolate Cake for Carrie’s birthday this week. I had searched my cookbooks and the Internet for a Flourless Chocolate Cake. 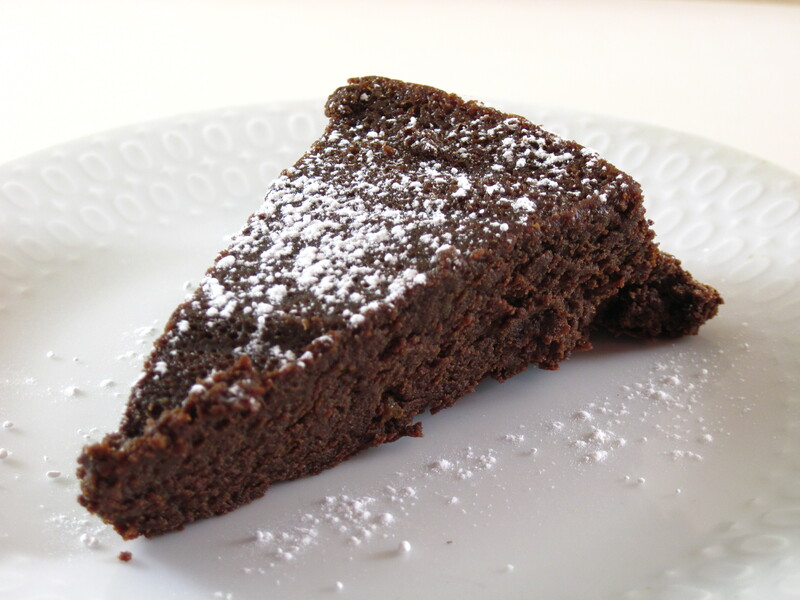 I settled on Jesse Rosenberg’s Flourless Chocolate Cake in Molly O’Neill’s One Big Table. Jesse grew up in Paris and she learned how to bake this cake from a Parisian woman. Many of the other recipes I found involved separating eggs and/or baking the cake in a water bath. I loved the simplicity of Jesse’s cake. It has just four ingredients and is, indeed, very easy to make. 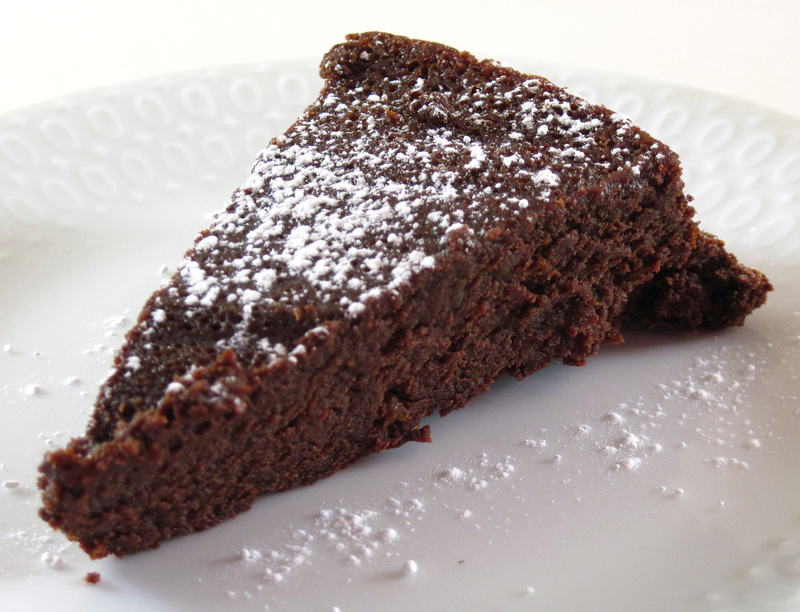 This Easy Flourless Chocolate Cake is very rich without being too heavy. We all loved it! It’s a great cake for any special occasion. It would be a wonderful dessert for Valentine’s Day! The original recipe says it serves 8, but this cake is so rich that I found it easily makes 14 – 16 servings. Start with great ingredients. 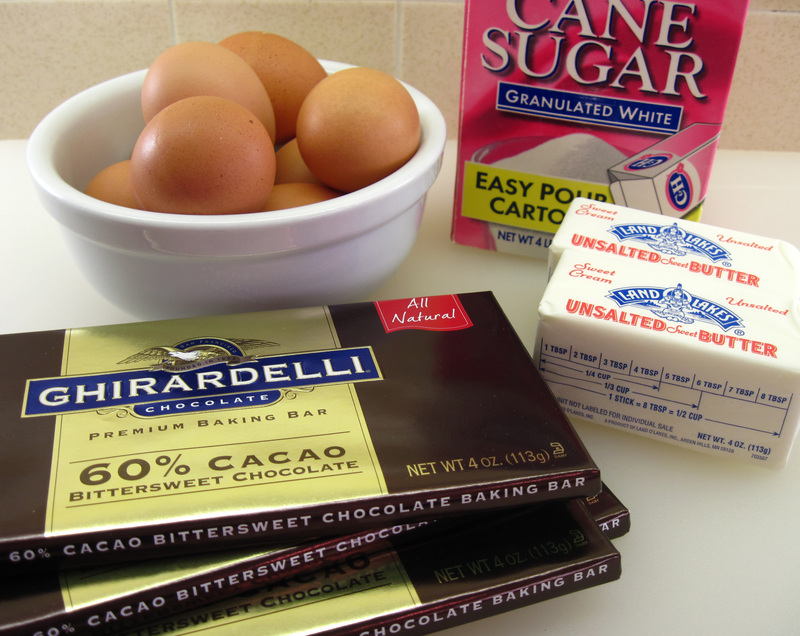 Cook’s Illustrated prefers Ghirardelli 60% Cacao Bittersweet Baking Bars and that’s what I used. 1. Preheat the oven to 300˚. 2. 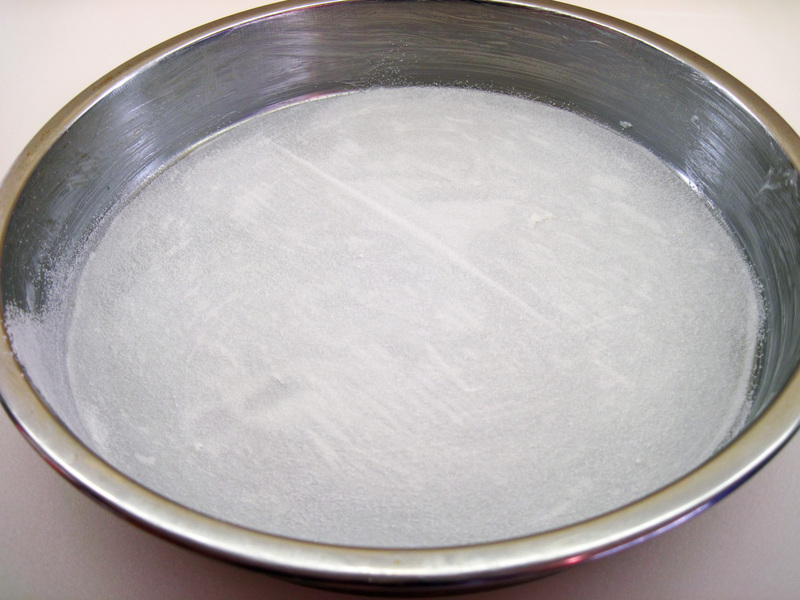 Use the extra tablespoon of butter to grease a 9-inch round cake pan. Use about 2 teaspoons of it to grease the pan. Then cut a piece of parchment paper to fit the bottom of the pan. Put the paper in the pan and use the remaining teaspoon of butter to grease the paper. Sprinkle the extra sugar (about 1 tablespoon or so) in the pan and shake it back and forth to cover the bottom. Pour out any excess. 3. 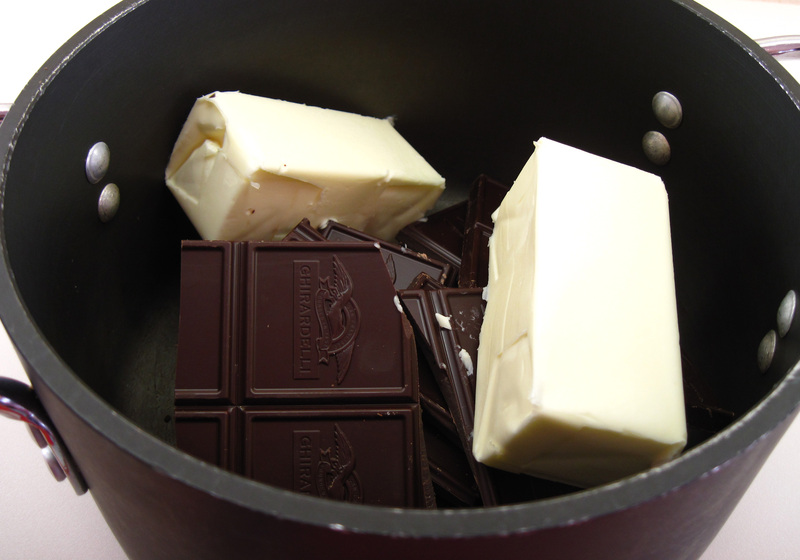 Melt the 2 sticks of butter and the chocolate together in a heavy medium saucepan over low heat. Stir it constantly once it starts to melt. 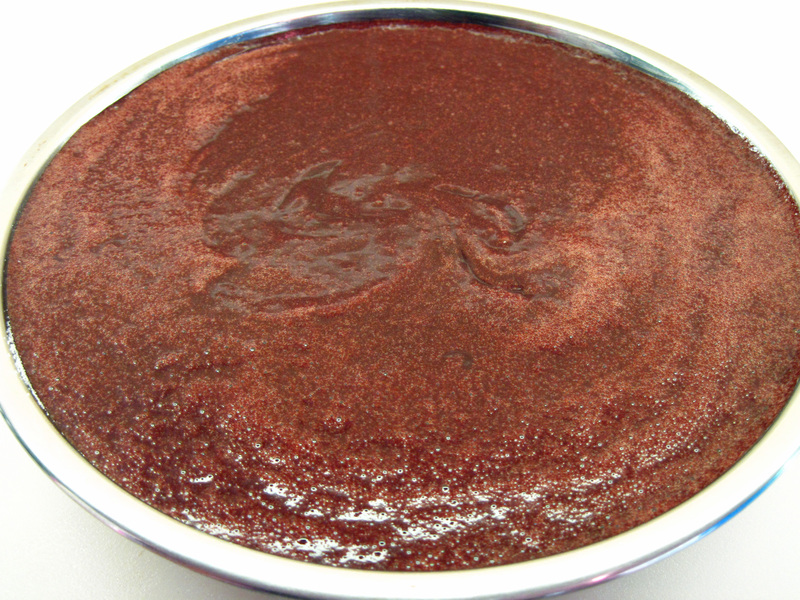 When it has all melted and blended together, remove from the heat and allow to cool a bit. 4. Beat the eggs with a mixer until light. Add the sugar a bit at a time, mixing at medium speed for about 6 – 8 minutes. The mixture should be pale and fluffy. 5. 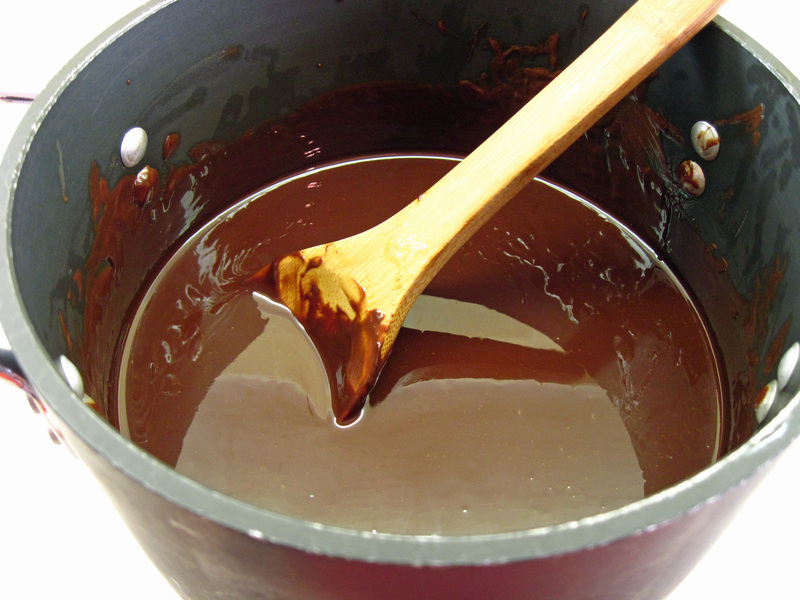 Fold the egg mixture into the chocolate and gently stir until well blended. 6. Pour into the prepared 9-inch cake pan. You can see that my 9-inch pan was nearly full. 7. Bake for 45 minutes to 1 hour. Check the cake after 45 minutes. 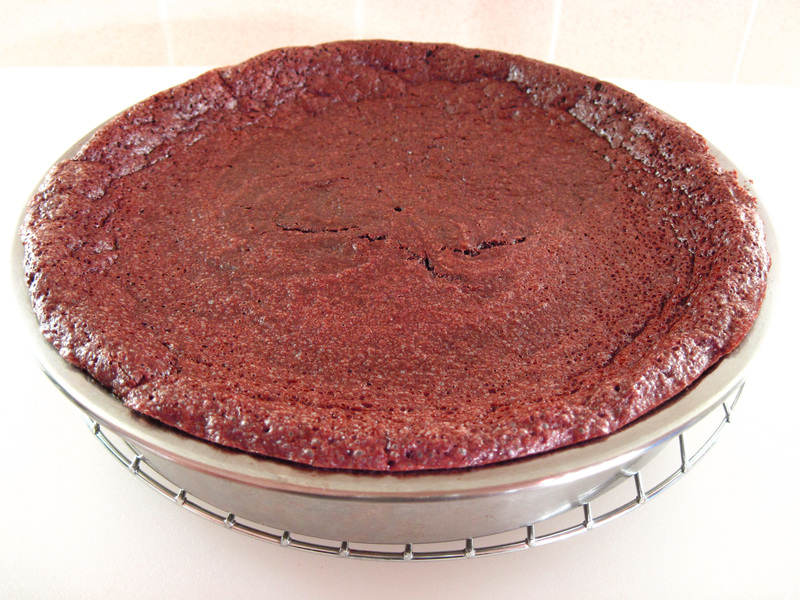 The top should be a bit crusty (kind of like brownie tops) and the cake should feel firm. You can test with an instant read thermometer. 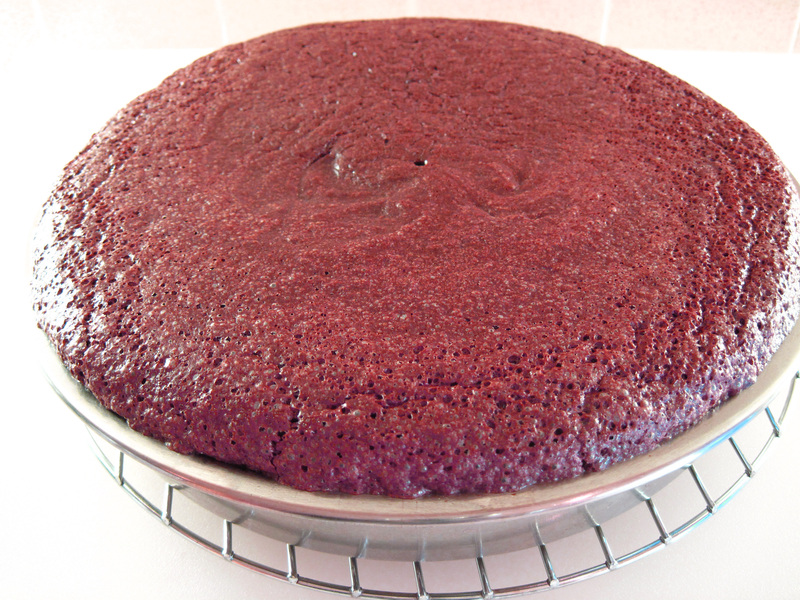 Put it in the center of the cake without touching the bottom of the pan. If the temperature is at least 140˚ the cake is done. The cake will be puffed up when it’s done. 8. Cool the cake on a cake rack. The cake will deflate as it cools. 9. When cool, run a knife along the side of the pan and turn the cake out on a serving plate.Serve with ice cream or whipped cream, or simply dust with a bit of powdered sugar. Thanks for this! I adore Lora Brody’s “Bête Noir,” and still have the ancient clip from the NYT in which it was first revealed to me (courtesy of wise & wonderful Ann Hodgman), but the B.N. IS a bit complicated for a so-so baker such as myself. 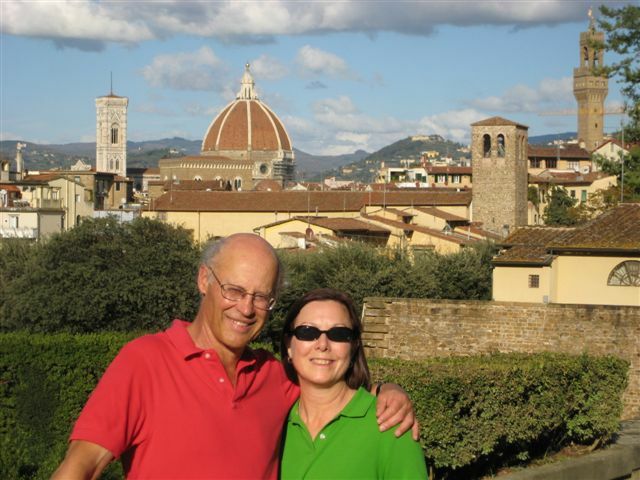 That’s what I loved about this one, Ann – it’s SO easy! So fudgy and delicious! I think I may have even liked it better than the Smitten Kitchen one! Flourless cakes are delicious. So rich and decadent! One of the truly classic desserts. I love it—and I don’t even have much of a sweet tooth. I learned how to make a French cake from my other half’s mom and I had such a great time with her. I have never made a flourless cake! I will save this one for later and give it a try. I just made it again yesterday, Dionne. For some reason, I had a hard time getting it out of the pan this time. It fell apart a bit. I think I may not have buttered the pan generously enough. But it was still fabulous! Did it work using cocoa?